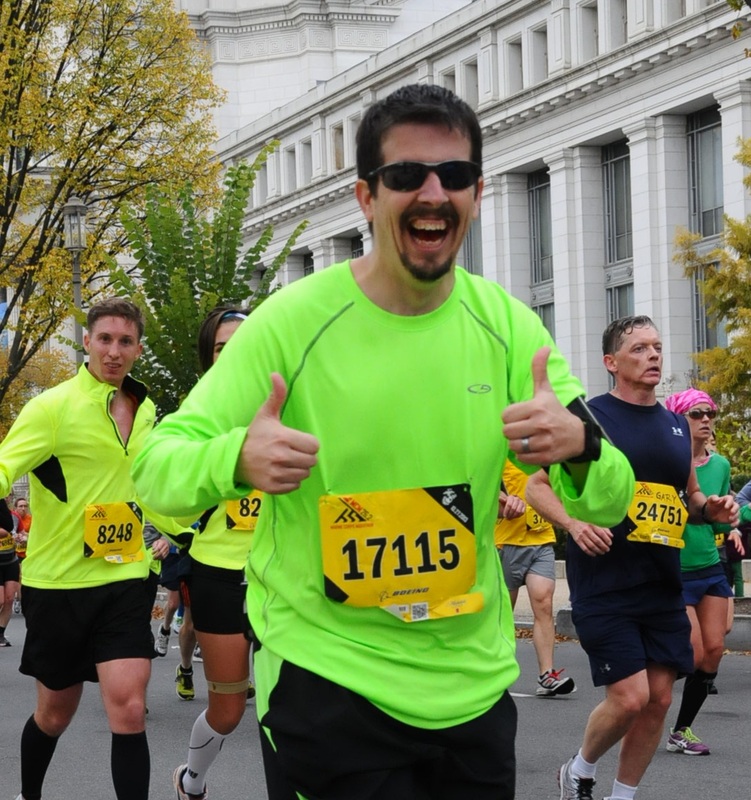 Home › Marine Corps Marathon › Sometimes, you just need to rest… And you are better for it! Sometimes, you just need to rest… And you are better for it! So, I’ve been quiet lately. The good news is my running hasn’t been as quiet as my blog postings, but it has been close! Saturday I had a 16 mile run scheduled. I didn’t do it. My legs have been constantly in a state of tired or sore since the half marathon (and most of the time before that if I am going to be honest here.) My long-run partner for Saturday developed a bad chest infection and couldn’t join me. We were going to be joined by another friend for the last 8 or so. I decided to just do an easy 8 with a friend I hadn’t seen in a long time. That 8.72 was a blast! We talked about a bunch of things and just enjoyed the run. It turned out we were running at a snail’s pace (I had the volume off on my phone so we got no updates at all.) It didn’t matter, as it was simply a nice run. And Derek, who normally only runs 3 miles at a shot – did 8.72 with no issues! I then did no running until yesterday. This did mean I skipped a 4 mile run on Tuesday, but I didn’t want to go. Last night’s run? Wow! It was one of the best runs I have had in AGES! My legs were as fresh as the produce my parents get in their CSA baskets! I just had a great time. I didn’t have a specific route in mind, I just knew that I needed to do 9 miles, and didn’t want to do any loops that repeated. I didn’t do to badly as I came in at 9.66! My pace was kind of all over the place.. That was partially due to hills, but mostly due to my body WANTING to run at an 8:30 pace, and I wanted to run at a 9:30 pace! Still, I’m happy with how it went. It was nice to really enjoy a long run again. ‹ Friday Morning Ketchup… errr.. Catch up.